The reason the Gospels were written was to give us a clearer picture of Jesus, the perfect portrayal of the Father. But Jesus isn’t the only One Who was on the Father’s mind: He was also thinking of you and me! Everything recorded in the Bible is for our benefit and instruction. If you lack for anything, anything at all, you can stand on many passages. Psalm 23 is one in particular that comes to mind. Confess over your situation, “The LORD is my Shepherd; I SHALL NOT WANT;” and whatever your need, He will be your supply. Are you discouraged, depressed, in debt? Whatever your concern, there is a word for you from our Abba, a promise to supply all your needs, and heal all your hurts. Someone in need of healing once asked the great British evangelist, “Smith Wigglesworth,” what books he should read in order to receive healing. Smith answered simply: “Matthew, Mark, Luke, and John.” Good answer! What amazing advice from a humble plumber turned evangelist, a man through whom more than 10 people were raised from the dead! Awesome! If you are sick, there is nothing better you can to do than to read through all the healing miracles in the Gospels. See how Jesus healed the sick, hoe He raised the dead, and cleansed the leper. I’ll just bet that your healing will be well on it’s way before you’re halfway through Matthew! During His suffering and death, Jesus’ body was broken and His flesh was torn. 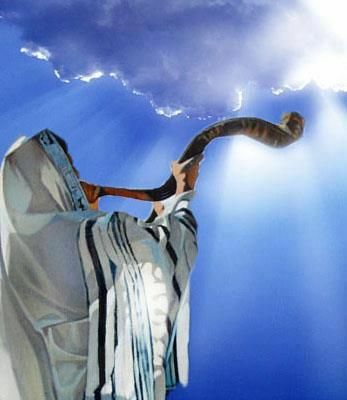 The moment he bowed His head and dismissed His Spirit, the Shofar sounded in the Temple. Immediately, the veil that separated the Holy of Holies from the Holy Place was torn from top to bottom! Hebrews 10:19-20 says, “Therefore, brethren, having boldness to enter the Holiest (Holy of Holies) by the blood of Jesus, by a new and living way which He consecrated for us, through the veil, that is, His flesh…” That’s how we can say that we can say that the Tabernacle is a picture os Jesus, because Paul spells it out in the book of Hebrews. It is a wealth of information on decoding typologies. The veil of the Temple represents His flesh that was torn for us. When His flesh (veil) was torn, He gave us access into the Holy of Holies that ushered in a new and living way! If you’d like to study more about this topic, you may follow the link below. You’ll learn a lot of other really cool things about the Tabernacle, too! There are those who believe that it is simply the ideas in the Bible that are inspired. That is not accurate. The fact is, EVERY SINGLE WORD OF THE ORIGINAL LANGUAGES ARE INSPIRED. Even the order in which they are written is a message. They were also not just the thoughts and ideas of mere humans. God used men as secretaries and told them what to write. Did you catch that? It is not your translation that is inspired; it is the languages in which the Bible was originally written. Your translation is technically a commentary. You can absolutely trust that EVERY WORD in scripture is God-breathed. Jesus Himself proved this for us when He argued with the Sadducees from one single word. You see, they don’t believe in the resurrection. So, He reminded them that God said, “I AM …..present tense…..not “I was,”…..the God of Abraham, Isaac and Jacob.” They may have died, but they are alive in heaven right now where He is STILL their God. God’s Priority Vs. Man’s Focus. Here is God’s priority: In total, there are 89 chapters contained within the four gospels. Only four are dedicated to Jesus’ birth and when He was 12 years old. That leaves 85 chapters that are dedicated to the last 3 years of His life! Man’s priority, on the other hand, seems more focused on Jesus’ birth than anything else. We make a bigger deal out of Christmas and finding out when He was born than His death, which was by far the greatest event EVER! But man’s focus is usually backwards. There are even apocryphal stories about Him healing a bird with a broken wing when He was a child, or being married to Mary Magdalene. These things are nothing more than idle speculation. It’s all nonsense! The structure of the Tabernacle demonstrates that, as a boy, he lived a normal, HIDDEN, human life. Please reference the link above entitled, “Four Times Covered,” for more on that topic. The Bible declares that the miracle where He turned water into wine was “the beginning of miracles.” So that settles that. What Does God Esteem Most? What is God most interested in? The Gospel of John is very revealing. In his Gospel, there are 12 chapters on Jesus’ public ministry, but he devoted 5 chapters to the last 3 hours of His life in the upper room. Folks, that’s fully 25% of the entire gospel! See what I mean? God’s estimation of what is important is far different from ours. John, as you read in part 8, is filled with wonderful miracles that are found nowhere else. We discussed that he doesn’t call them, “Miracles,” but, “Signs,” because they “Signify” deeper spiritual truths and have prophetic significance. They were specifically chosen by God for us so that we would “believe.” They help our faith because God knows that the greater your faith, the greater your ability to receive from Him. Want to increase your faith? Get a bigger revelation of Jesus!…and there is no better place for you to see more of Him than reading about His life in the flesh in the four gospels. There is so much we can learn about His earthly life that will help ours! We can see exactly what the Father is like and everything He wants for us by all that Jesus said and did. Like Jesus, our Father wants more than anything to bless His people and to give us gifts. The greatest of all, of course, is our Lord Jesus. But in the absence of His physical presence, because He is still physically in heaven, we have God’s word! The bigger, clearer picture we have of Him, the more blessed we will be and the greater health and prosperity we will enjoy. That’s the great benefit of seeing Jesus in the Gospels. We discussed why we have four gospels in part 2 of this study and how each one tells different stories of different aspects of Jesus. Four is a recurring theme through scripture. Around the tabernacle of Moses, the tribes of Israel camped on it’s four sides. Pictured on the banners immediately surrounding it were four faces: The lion, an ox, a man’s face and a flying eagle. These same four pictures are also on the veil of the Tabernacle. The veil between the Holy Place and the Holy of Holies rested on four pillars. Four Different Secretaries, One Author. The gospels were written by four different men. Just as a ghost writer cannot claim authorship of the book he is writing, so the men who recorded on paper what the Holy Spirit told them to cannot claim to be the author. “Men of old spake as they were moved by the Holy Spirit,” the scriptures say. Matthew was a tax collector and a traitor to his own nation. God used a man who was a traitor to his own nation to record the Gospel of The King of the Kingdom of Heaven, the nation of which he had now become a part! Mark, who wrote of the suffering Servant, was a servant who failed. When he was a young disciple and friend of Paul and Silas, he did not want to accompany them on one of their journeys, turning back to his home. This caused a serious rift between Paul and Silas. This very same servant who failed went on, later in life, to write about the Unfailing Servant, Jesus! Luke, the only non-Jewish secretary. He was a doctor who was known as “the beloved physician.” Who better to write about Jesus as Man than a physician? John, the youngest of all the disciples, was the one who wrote the Gospel of John, 1st, 2nd & 3rd John, as well as the book of Revelation. He is the only one of Jesus disciples who was not martyred. God purposely preserved him to a ripe old age. Why? Before he died, the Apostle Paul told the Church that wolves would infiltrate the flock, attempting to pollute the Gospel of Grace, in an attempt to get people to fall away. Gnosticism would begin to flourish along with many other heresies, including Galatianism. These would all claim that Jesus was not God but merely a good man. But the now aged John would be there to be an eye witness of all that Jesus said and did to counter their arguments. These picture represent the four gospels. The Lion is the KING of beasts (Matthew), The Ox, an untiring SERVANT (Mark), The face of a Man (Luke) where Jesus is portrayed and the SON OF MAN. The Flying eagle, representing the gospel of John, Jesus is the SON OF GOD, the Holy One Who came direct from heaven. Each of the four primary colors in the Tabernacle depicts one of the four gospels: Purple, the color of royalty, aligns with Matthew. Red, the blood Jesus shed for us, represents Mark, the story of our suffering servant. White linen depicts the gospel of Luke where Jesus is portrayed most often as the Son of Man. And last of all, blue, the color of the sky, represents the gospel of John, where Jesus is portrayed and the One Who came from heaven. It details His Deity. In the book of Ezekiel you find the same four-faced creatures listed in the exact same order: The Lion, The Ox, The face of a Man and a Flying Eagle. Even in the New, we see around the throne of God, pictures of the four in the living beings with four faces: A Lion, and Ox, A Man and an Eagle. They actually form the throne of God. Where do you see beautiful stories of Jesus and His life in the flesh? IN THE FOUR GOSPELS. God saw fit to have four stories of Jesus’ life recorded for us to give us the most complete picture of Him possible. If you want to see Jesus, don’t try to imagine Him in your head or pray to a statue: Go see Him in the gospels! God’s word is a living, breathing book! Because God is outside of space and time, He can make the books come alive. You will feel like you are right back there, back in Jesus’ time, walking along with to Him as you read. See Him heal the sick, cleanse the leper, raise the dead, minister to those in need. See Him in His love, His majesty, His Ministry and His humanity. I guarantee that you will be transformed from glory to glory simply by looking at Him. What is the significance of four? The cross had four points. It is effectual for the four corners of the earth: North, South, East and West. Jesus blood avails for the whole world, Hallelujah! This concludes our study. I hope you have been greatly blessed by seeing seeing more of Jesus in the Beauty and of the Gospels! Wonderful message! Nothing but Jesus who fulfilled every requirement of God for us to be called righteous. How wonderful! Nothing that we can boost of but Jesus alone. AMEN! It’s all about Jesus! Thanks sir I been bless by your teaching. God bless you sir.